St. Patricks Day is just around the corner and it’s been a long winter so why not cheer someone up with this fun rainbow treat box! 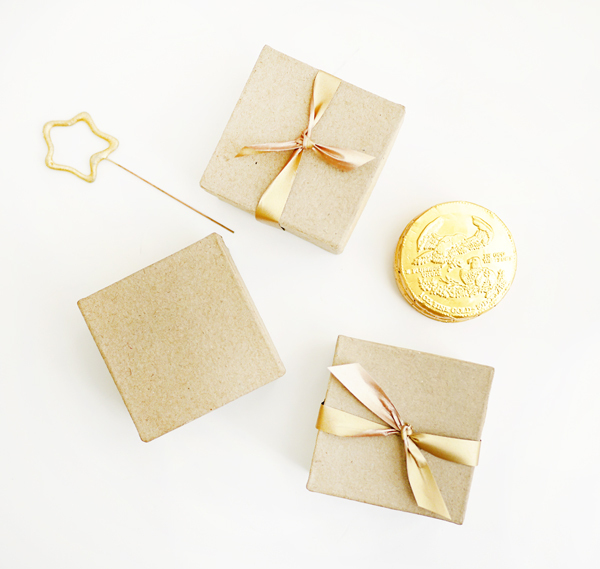 This is an easy to make craft & a great excuse to use some gold foiled coin chocolates. This box is a great post-Valentines Day way to let someone know you’ve been thinking of them, and who knows, you might even get lucky! 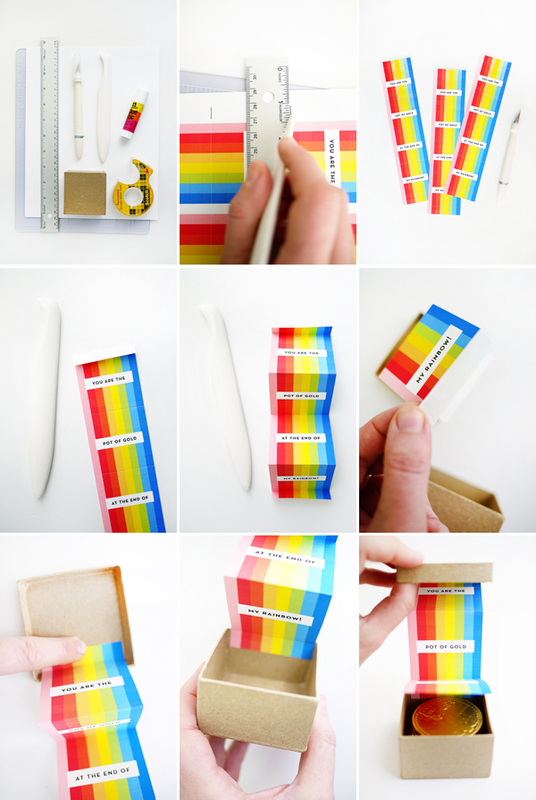 Step 1: Print out the Printable Rainbow Box template on 8.5 x 11 white card stock. Step 2: Using the bone folder & straight edge, score the rainbows horizontally following the indicated crop marks. Step 3: Cut out the rainbows. Step 4: Fold rainbows like an accordion using the bone folder. Make sure that the top flap is folded down (see photo). Step 5: Apply glue or double stick tape to the back sides of the top and bottom flap (a glue gun would work well too). Glue the top flap into the box top as indicated in the photo. Glue in the bottom flap to the bottom of the box (see photo). The flaps will be glued on the same side of the box. 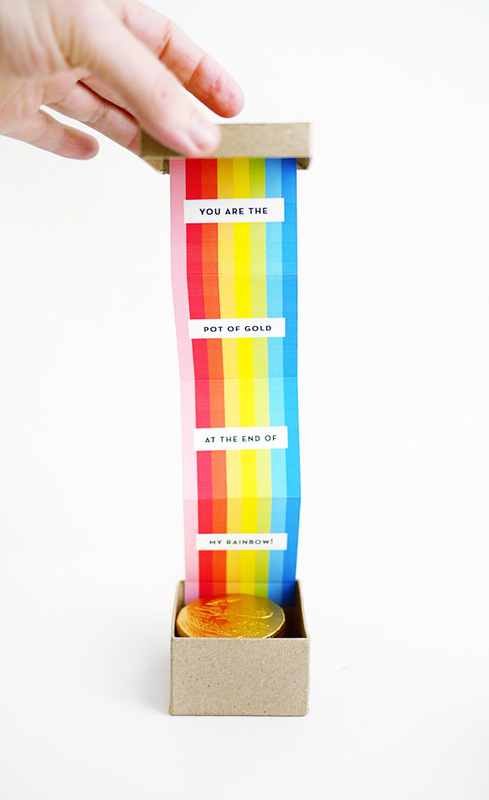 When the box is opened and closed the rainbow will fully collapse. 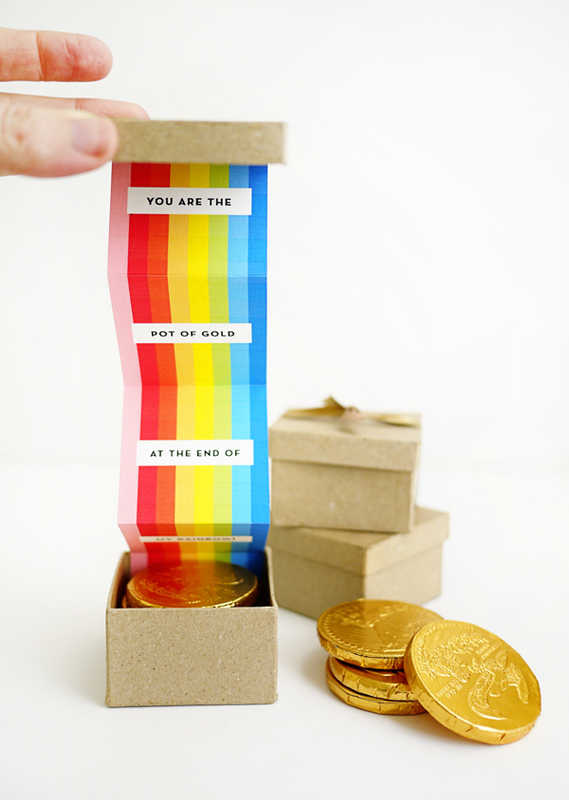 Step 6: Fill the box with gold foiled chocolate coins or other gold candy. 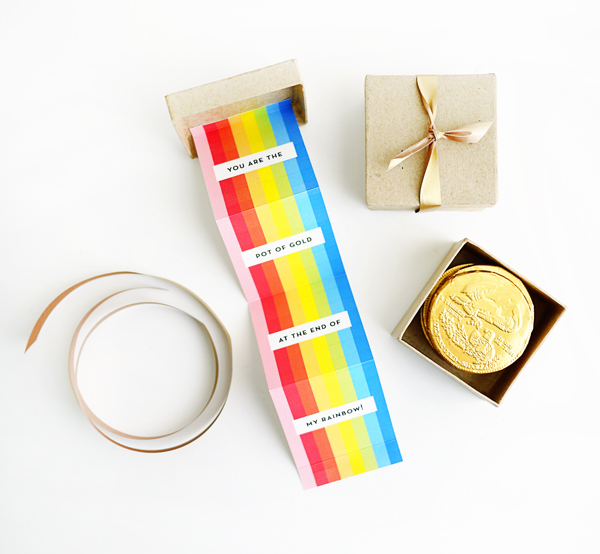 Tie a pretty bow over the top of your pot o’ gold and send it off to your sweetie! This is adorable! I want to make it for my coworkers this year, however I’m confused about which size jewelry box you used. I don’t see a 2.5″ option in the link you provided. Was it the “small gift” (size #22)? This would make a fab DIY party favour for a pirate themed party instead of party bags… if only i was having a pirate themed birthday party lol! This is such an adorable idea! Perfect little gift! I’m smiling just looking at this- this would even be cute for wedding favor boxes. Your great ideas never cease to amaze me, Alix! This would totally make my day, not to mention the chocolates!